On April 3, 2018, the replacement for the Ontario Municipal Board (OMB), the Local Planning Appeal Tribunal (LPAT), began hearing appeals of new zoning by-law and Official Plan amendments. Like many municipalities, Toronto has long struggled with the OMB. The board has been accused of favouring developer interests over the local community. There are countless examples of City Council decisions being overturned for development that does not address local community needs and has resulted in what can simply be called, bad urban planning. Toronto's Downtown is growing rapidly with development exceeding growth targets by decades. We are also facing an affordable housing crisis; unseen homelessness rates; Canada's highest child poverty rates; and an opioid crisis. In this brave new world of municipal land use planning, the policies of the City’s Official Plan are expected to be even more crucial to follow if the city is to defend itself at the new tribunal. What considerations have traditionally been left out of the city planning process that should now be raised? And if the city’s goal is to build healthy, inclusive and complete communities, does Toronto have the right policies it needs? Please join me and an esteemed panel of subject experts on Tuesday, May 29, 2018 to discuss building a healthy and liveable communities in a Post-OMB world. Cyndi Rottenberg-Walker, Partner, Urban Strategies Inc. This event is wheelchair accessible and ASL interpretation will be available. RSVP to reserve your spot. I look forward to this lively and important discussion! Council agreed to ask the Ontario government to designate the last Thursday in May of each year "Provincial Digital Literacy Day" starting next year. Council also called for the inclusion of a digital infrastructure plan in the City's work on Smart City. The federal government launched Canada’s Smart Cities Challenge last year to encourage communities across the country to come up with bold ideas that improve residents' lives through innovation, data and technology. After discussing Toronto's blue bin recycling program and related challenges, Council authorized staff to explore the possibility of introducing new or enhanced waste-diversion efforts that include ways to process contaminated recycling. In addition, the City will ask the federal government to establish a national strategy addressing plastic pollution, with regulations that include, for example, requiring that products and packaging can be recycled practically. Council voted to establish a one-year pilot program starting June 1 supporting alternative dispute resolution as an additional tool to address certain property-related bylaw complaints arising from disputes between neighbours. The Municipal Licensing and Standards division's initial focus for the pilot, drawing on community resources/expertise in mediation, will be disputes that involve noise, fences and right of entry. Council approved plans to test free-floating car sharing in Toronto. An 18-month pilot project will apply interim operating rules. Car-sharing arrangements in which members begin and end their trips at the same location are well established in Toronto. The free-floating model, now becoming popular, enables car-share service members to take one-way trips, beginning at one location and terminating at another. Council authorized the installation of bicycle lanes on Thorncliffe Park Drive, Gateway Boulevard, Grenoble Drive and Deauville Lane in the Thorncliffe Park and Flemingdon Park neighbourhoods as part of Toronto's overall cycling network. The installations will improve safety and mobility options for residents, including children and youth. The project will also provide better access to Leaside Park, E.T. Seton Park, the West Don River Trail and the Lower Don Trail. Council voted to request procedural changes to improve the way the Toronto Local Appeal Body (TLAB) operates. The TLAB was established in 2017 to hear appeals of minor variances and consent applications in Toronto land-use planning matters. Council supported a proposal for addressing a situation that can arise when older apartment towers' central air conditioning is off and the heat system on during spring or fall months, when the weather is normally cool. Spells of unseasonably hot weather in that circumstance can result in very hot apartment conditions for tenants when there is minimal building ventilation. Council directed staff to report to the Licensing and Standards Committee in 2019 on recommended changes to the City's noise bylaw. Municipal Licensing and Standards staff who are working on the complex issue of managing urban noise will take into account work on a public health action plan addressing long-term exposure to ambient environmental noise. Meetings of a working group on noise and other consultations have provided input from a wide range of stakeholders as part of the review of the City's current noise bylaw. Council supported a motion to ask staff to report on the feasibility of installing dog-waste containers in City parks and dog off-leash areas, including options for conducting a pilot project for the in-ground containers. Large amounts of dog waste currently end up in landfills and also contaminate bins of material intended for recycling. Several nearby cities have had success with the use of dog waste containers, delivering the waste collected to organic waste plants. Council adopted a pollinator protection strategy for supporting native pollinators in Toronto, particularly native bee and butterfly species. The strategy aims to create and protect habitat that pollinators need to survive and thrive. Bees provide the invaluable service of pollination, enabling plants to reproduce. Pollinators are under increasing stress due to habitat loss, invasive species, diseases, pesticides and climate change. Council approved a financial commitment as the City of Toronto's share of funding for the construction of six SmartTrack transit stations along GO Transit rail lines in Toronto. The planned six SmartTrack stations are identified as St. Clair-Old Weston, King-Liberty, East Harbour, Gerrard-Carlaw, Lawrence-Kennedy and Finch-Kennedy stations. Council supported taking steps for the City's adoption of a model known as Civic Hall Toronto as a way to promote innovation through technology in Toronto's local government. 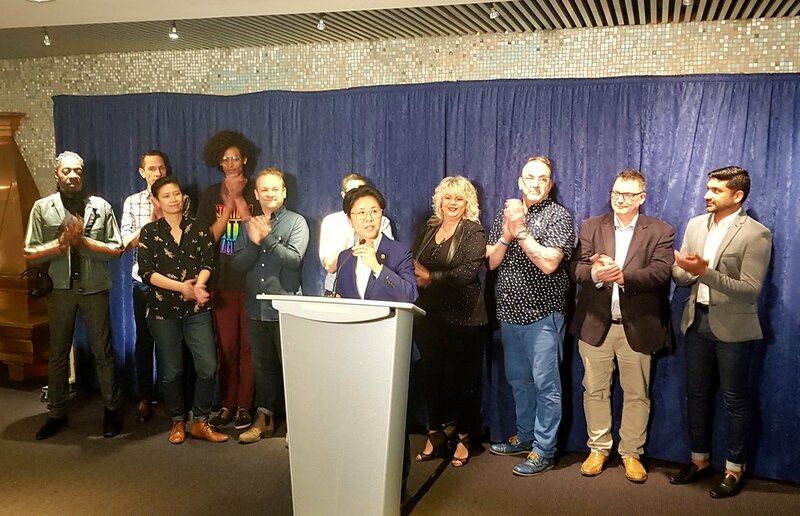 Civic Hall Toronto will supplement the efforts of the City's existing Transformation Office and Civic Innovation Office, resulting in better public services. Many City divisions and agencies have indicated interest in becoming members of Civic Hall Toronto. Council supported moving ahead with plans for expanded gaming at Woodbine Racetrack, subject to the execution of a Community Benefits Agreement. Council made the decision after considering a report on the social and economic conditions, including local employment, which Council had identified earlier as a requirement. Adoption of this item included motions addressing matters such as the provision of child care, the sharing of gaming revenues, the participation of local area labour and the provision of funding to support educational efforts pertaining to gambling addiction. A new masterplan for the Downtown is getting close to completion! In 2012 following a motion from Councillor Wong-Tam on the Downtown Tall Building Projects, City Council directed City Planning to develop an integrated planning framework and infrastructure growth strategy for the Downtown. This process evolved over many planning sessions and is now known as TOCore. TOCore represents a new Downtown Secondary Plan in response to the rapid intensification occurring there. The policies of TOCore will establish a vision, goals, and address directing growth, land use, parks and public realm, transportation, built form, community services and facilities, culture, housing, resiliency, water and implementation. The proposed Official Plan Amendment will comprehensively apply a number of the key policies of the Growth Plan such as complete communities, infrastructure to support growth, integrated planning, and the promotion of major office and institutional development. Councillor Wong-Tam would like to thank Planning and Growth Management Committee Chair Councillor Shiner for moving two motions on her behalf. develop terms of reference to mitigate the impact of live music venues near new development. TOCore goes to City Council on May 22, 2018, for final approval. 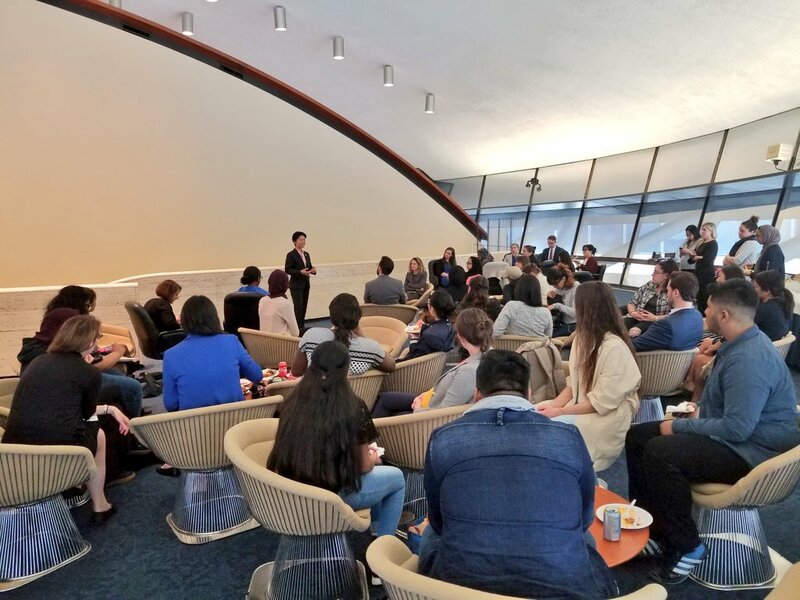 Thank you to all who joined us on April 30, 2018 for Councillor Wong-Tam's Equity and Government Responsibility in the Smart City panel. It was an exciting and engaging discussion on the role of government in ensuring smart city initiatives serves the public good. Below are some highlights from the evening. "There is a huge opportunity in projects like this for cities and municipalities to better communicate and share information with residents," said Anil Patel, Co-Founder & Digital Strategist at Grantbook. "We need to engage more people to reimagine what this project could look like. The city around us is moving so quick. How can we really design techniques to better communicate with residents and serve the public?" "It's time to talk about if and how we want to use technology in our city before the tech industry decides this for us,” said Bianca Wylie, Head, Open Data Institute Toronto and Senior Fellow, Centre International Governance Innovation. “This includes creating a rights-based approach to privacy as a public good and clearly defining the role of the City versus the role of a vendor. This is public space and public services we're talking about." This summer, the fences will come down and College Park will be open once more. After community consultations and extensive renovations, an upgraded and revitalized park will be open to the public. Work on the city's newest skate trail will continue and the new skating facility will be open for this winter. The nearly $8 million in park upgrades includes new plantings and trees, improved access off of Yonge, College, Bay, and Gerrard, a new skate trail and skating facility, as well as major landscaping improvements. Stay tuned for more news. The park will be open this July. Join Councillor Kristyn Wong-Tam for a meeting about safety in your neighbourhood with Toronto Police, Public Health, Parks and Recreation, and other city divisions. This is a follow-up meeting to 2017 meetings regarding issues between the intersections of Church Street and Dundas Street East, and Jarvis Street and Shuter Street. City Staff continue to respond to residents and stakeholders to resolve safety concerns at neighbourhood hotspots. Staff will be providing updates on issues identified at previous engagements, and there will be an opportunity to discuss ongoing and emerging challenges. For more information or to share safety concerns, or for those who cannot attend but would like an update, contact Edward LaRusic at 416-392-7903 or edward.larusic@toronto.ca. Many hands make light of work. City staff work hard, all year round to keep our city clean. Big community love for Downtown Toronto. Thank you to all the volunteers who showed up to help with the City of Toronto's community clean up day! Thank you to all who joined us for this year's Jane's Walk Toronto, including Jane's son, Jim Jacobs. Strong community and city partnerships and engaged residents supporting the Yonge St. EA will ensure Downtown Yonge becomes a beautiful, pedestrian-friendly, high street in the near future. Congratulations to the nominees of the 8th Annual INSPIRE Awards. Celebrating inspiring leaders in the LGBTQ2Scommunities. This year's theme is Embracing Newcomers and winners will be announced on May 25 at Hart House, University of Toronto. Proud to speak to CW Jefferies students and lawyers in the Law in Action Within Schools (LAWS) at Toronto City Hall. Great program pairing students with lawyers to address diversity in the legal profession. Delighted to support Stephen Lewis Foundation in their fundraising for HIV+AIDS responses for LGBTQ communities in sub­-Saharan Africa. Honoured to meet Pepe Onziema from Sexual Minorities Uganda. Great to see fashion mavens Robin Kay and co-hosts Hoax Couture. Thank you to the WomenWinTO leadership team and candidates for the beautiful experience of working with you all. It was an absolute honour. The class of 2018 is ready for the campaign trail! 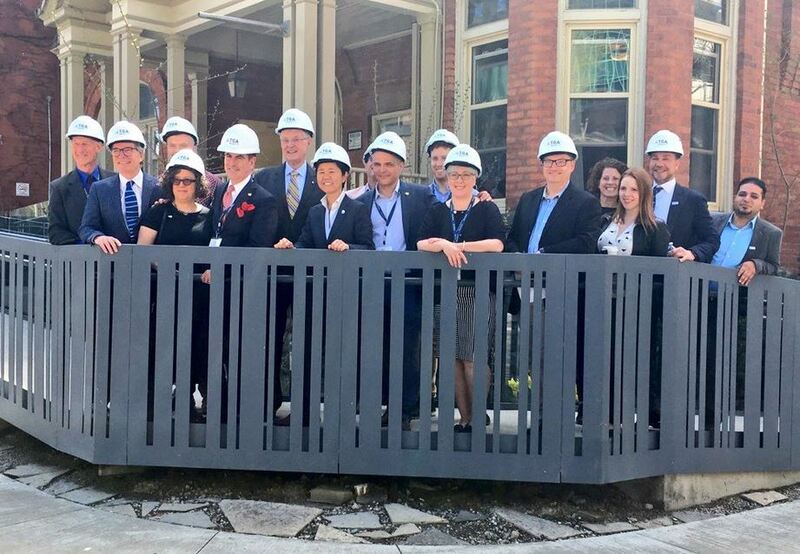 Honoured to kick-off the renovations for the Fife Huntley Transitional Housing Program. They're working collaboratively to provide housing and health care for homeless individuals living w HIV+AIDS. Thank you to Casey House Toronto, SSHA, Affordable Housing Office and many others. 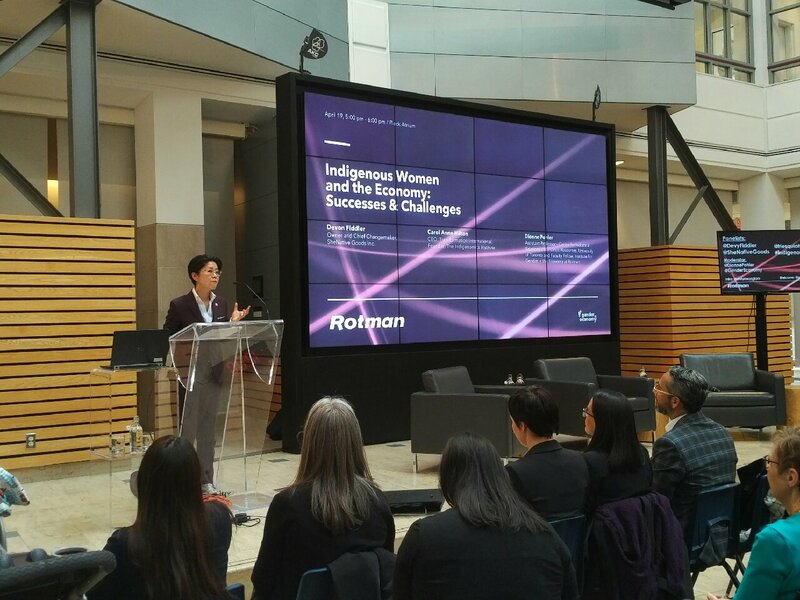 Thrilled to have opened Rotman's Gender and the Economy panel on Indigenous Women and the Economy. Indigenous Women are essential to economic prosperity! Incredible speakers Devon Fiddler, Founder of SheNative Goods and Carol Anne Hilton, Founder of the Indigenomics Institute. All calm on the Don River this morning for the 25th anniversary of Paddle the Don. 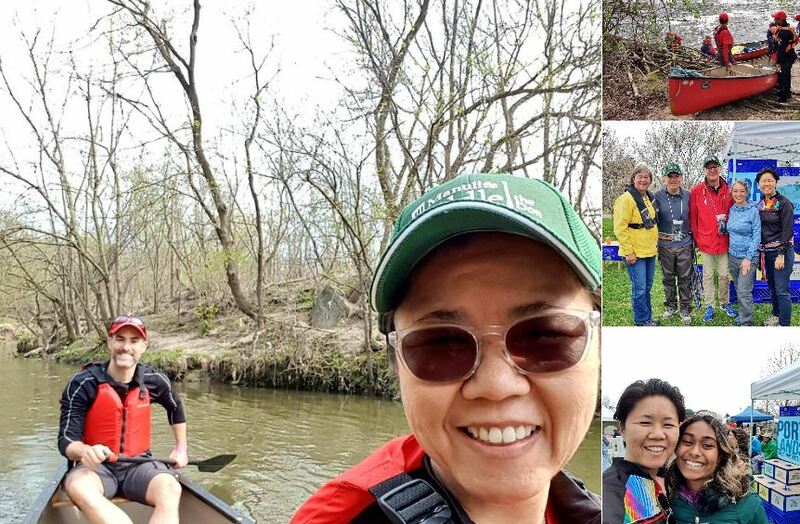 50 years after the river was declared "dead" the efforts of residents and conservationists have brought it back to life. Let's keep on it. Thank you Discover the Don and the Toronto Region Conservation Authority for the great work! 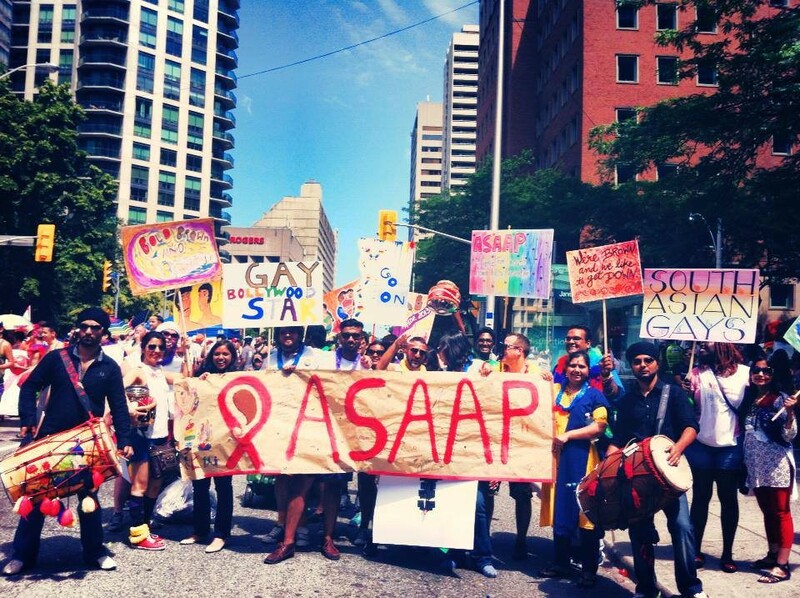 The Alliance for South Asian AIDS Prevention (ASAAP) is an invaluable service provider and community advocacy group that provides holistic health promotion and supports for people from diverse communities living with, at risk of, or affected by HIV and related health conditions. Their work has directly impacted many lives and provided care and community to those in need. In the last year, ASAAP has also been a leading advocate for missing and murdered men in the Village. Their work and persistence has been critical to understanding how many victims were marginalized and vulnerable and they have led the pressure to have a public review of police standards around reporting and investigating missing persons cases. This is not easy work, but ASAAP has risen to the challenge with strong leadership, openness, and compassion. 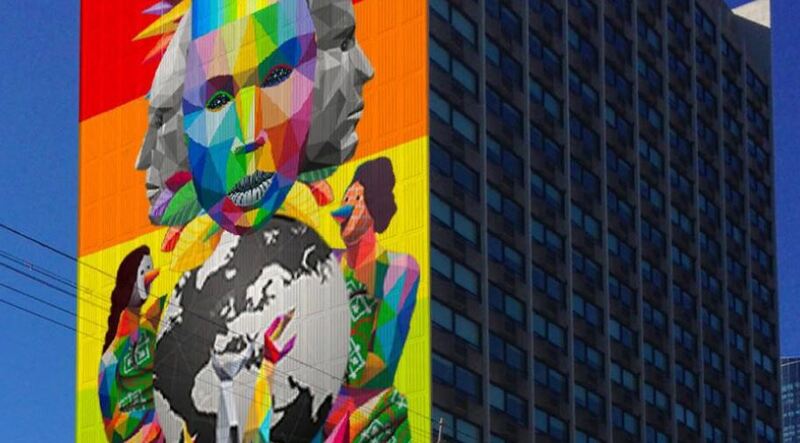 Over summer 2018, Toronto will host one of the world’s most celebrated street artists – OKUDA (Spain) to create a new landmark mural entitled Equilibrium, inspired by the community and commissioned especially for Parkside Student Residence’ 23 storey easterly wall. This new work will animate the bustling Carlton and Jarvis intersection, and be visible from the surrounding neighbourhood. Its design has been developed in consultation with various community stakeholder groups, including Parkside’s student community and representatives from various local groups. Share your thoughts on the new public art installation going up this summer at the corner of Jarvis and Carlton on Parkside Student Residence featuring internationally celebrated artist Okuda. More information about the project can be found here. Get the inside scoop on the meaning behind the design and let the STEPS Initiative know what you think here. 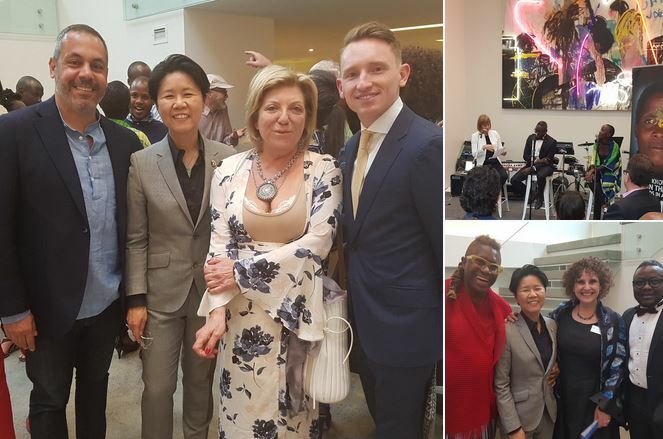 Councillor Wong-Tam is proud to work with the STEPS Initiative in bringing beautiful public art to life. Thank you to STEPS for all the work you do! Councillor Wong-Tam wants you to learn about current and upcoming development in your neighbourhood. The Ward 27 Development Map lists every application for a zoning by-law and/or official plan amendment received within the last 5 years. You can view the status of the application, learn briefly what it's about and find links to staff reports, applicant reports and more. The map also includes information about local neighbourhoods, including who is your Ward 27 staff contact and how to contact your local residents' association. The development map will be regularly updated, with new applications and information when applicable. The map does not include Committee of Adjustment applications. If you see anything that you feel should be on the map, please contact edward.larusic@toronto.ca. For more information and to view the map, please visit http://www.ward27news.ca/development. 11. Got a Question? Check out our new FAQ! Do you want to report discarded needles but don't know how? Are you interested in implementing permit parking on your street but don't know where to start? Have you received a notice for a zoning by-law amendment in your area and want to know what comes next? You can visit the Ward 27 Constituency Frequently Asked Questions (FAQ) page to learn the answers to the above questions and many more common questions the office receives. The FAQ will be periodically updated with new questions. If you have any feedback or suggestions for the FAQ, please contact edward.larusic@toronto.ca. To visit the Ward 27 Constituency FAQ, please visit: http://www.ward27news.ca/faq.